Linda Rossin is an award-winning artist who creates poignant portrayals of birds and animals in both large-scale and traditional miniature works of art. Large or small, Ms. Rossins paintings have been exhibited at prestigious venues and museums throughout the United States and other countries around the world. She is a Signature Member of the Society of Animal Artists, Artists for Conservation and Miniature Artists of America. 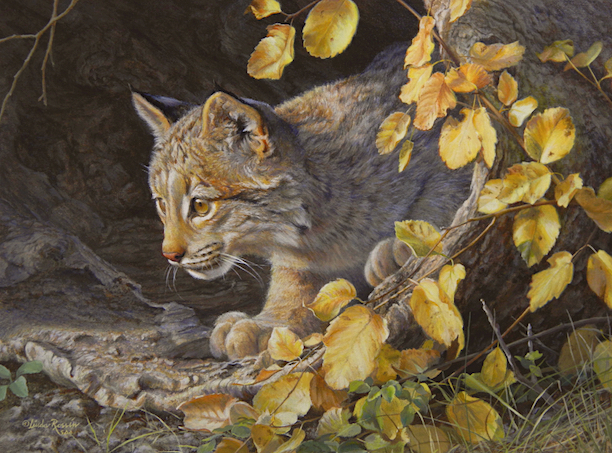 wildlife art & traditional miniature paintings. Enjoy your visit. Sign up to receive periodic newsletters from Linda HERE. Linda is a Signature Member of the Society of Animal Artists and recipient of SAA's Award of Excellence. A Signature Member of Artists for Conservation, Linda is a recipient of AFC's Medal of Excellence.